Since 2004, gamblers playing in Oklahoma casinos could only enjoy roulette and craps through a loophole card variation game with no dice or ball involved. Through the civilian push to better Oklahoma’s education funding, state educators fought legislators in 2018 to legalize and tax various vices. The movement was powerful enough to even reverse a 2004 OK gambling law which prohibited the use of balls and dice for roulette tables and craps games through a legislation signed by current-Oklahoma Governor Mary Fallin in April of 2018. The House Bill 3375 amended previous amusement and gambling bans toward dice games and roulette wheels and clarified where these tables could legally operate, the taxation for their operation, and further guidelines to assist casinos in legally providing roulette and craps entertainment. The bill, however, did not legalize sports gambling – an expanded form of gambling Oklahomans were hoping would come to their local venues. This bill also prohibited house-banked dice and roulette games, therefore, all roulette and craps games operating in Oklahoma would have to be played against each player, much like poker. Oklahoma roulette and craps games can only be offered domestically through a tribal casino, as stipulations in the law primarily allow amendments to the state’s gaming compacts with local tribes. This bill turned law in August, however, tribes had to await approval from the federal government for the state’s changes to their compact. This delayed the tribal casinos by one month, however, most opened their new tables by October. The new law taxes tribal casinos 10% of their monthly net wins from their roulette and craps games. The tax structure for these table games could potentially earn OK an extra $22 million per year in operation. Eighty-eight percent of the tax mentioned above would go directly to Oklahoma’s education program which benefits the state’s public. This law brings opportunity for increased commerce and tourism as not only can Oklahoma gamblers roll the dice or ball locally so can neighboring state residents. Since Oklahoma has begun providing craps and roulette there has been a significant increase in attendance and interest in OK tribal casinos. Patrons often remark these games provide “More of a Vegas-feel”. Not only do true roulette and craps table games provide another added dimension to local gaming selections, but it also retains local and out of state dollars from driving to, or through to, Kansas casinos to enjoy roulette and craps. More than likely more gamblers will choose Oklahoma casinos to play roulette and craps to lower traveling and expense costs allow for more money to be spent on games and thus put into OK’s education program. Several Oklahoma tribal casinos are offering ball and dice roulette and craps games, some even offer electronic roulette and craps. The WinStar World Casino and Resort, the Riverwind Casino, and the Buffalo Run Casino in Oklahoma provide these table games. Numerous other tribal casinos are launching their craps and roulette tables later in October. Despite the positives, numerous individuals have warned these table games could lead to higher gambling addiction due to their high-frequency of games per hour and quick playing style. They have backed this claim through reminding legislators and the public Oklahoma remains within one of the top 10 U.S. States for major gambling addiction. They also cited numerous high-profile embezzlement cases encouraged by gambling debt and addiction. However, the effects of these games in Oklahoma cannot be predicted but rather observed. There is no doubt, OK legislators are taking measures to mitigate any issues concerning these gambling forms in the state. 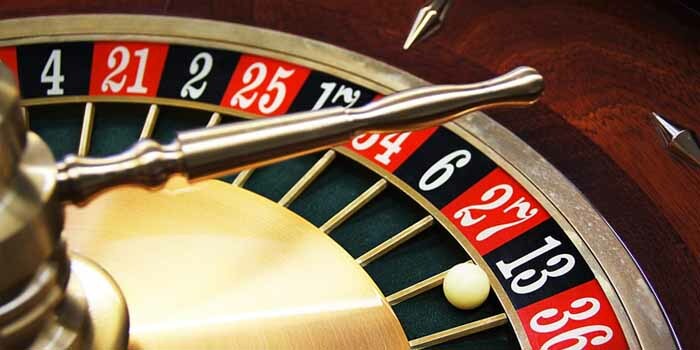 If issues do arise, expect to see tightened regulation over roulette and craps games.